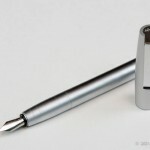 When it comes to entry-level fountain pens, it seems as though the same two choices keep popping up over and over again: The Lamy Safari and the Pilot Metropolitan. 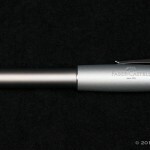 I’ve made no secret of the fact that I just don’t care for either of those pens. 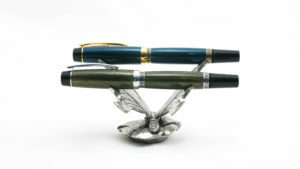 Both provide an inexpensive, consistent writing experience. Consistency is all well and good, but that’s not why I go through the extra hassle of using fountain pens: I want a little zazz with my writing. And I just don’t get that with those two starter pens. 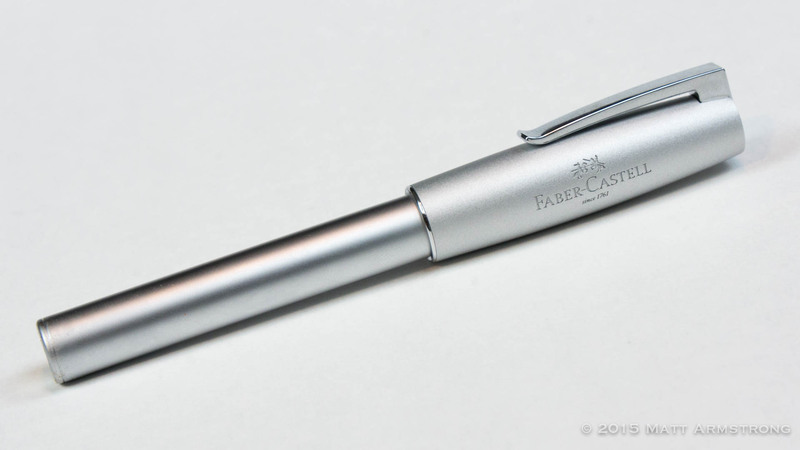 When I purchased the Faber-Castell Loom fountain pen, I suspected I would feel similarly about it as I do about the Safari and the Metropolitan. 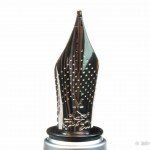 I was expecting a decent writer, but nothing of particular note. 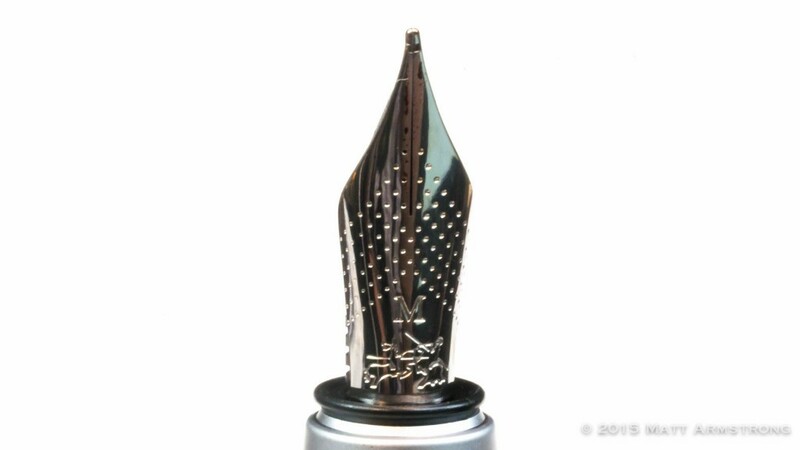 My previous experiences with the brand led me to expect a modern design and a pretty good nib. 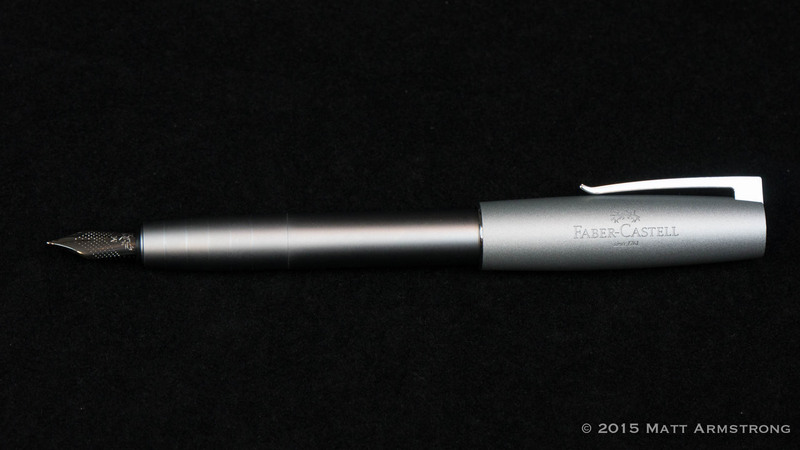 But at $40 USD, what I did not expect was a pen that would shoot to the top of my list of “entry-level” pens. Color me surprised! 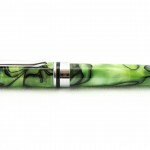 The Loom is a silver-colored metal-bodied pen that comes with caps in a wide variety of colors, including some pretty bright, neon offerings. I opted for the more subdued “Metallic Silver” finish. 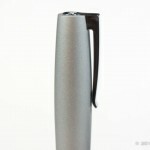 Due to the nature of the matte finish of the pen, it can be a little difficult to tell at first glance which parts of the pen are metal and which are plastic, leading to a very uniform, clean-looking design. 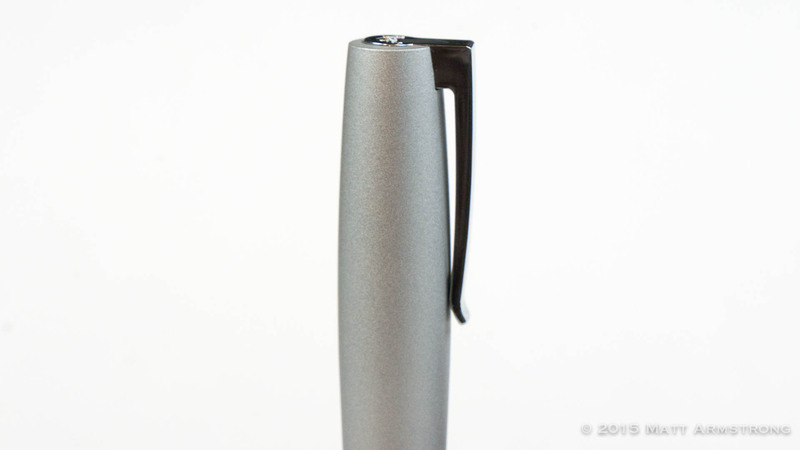 The cap is made of a silver plastic that is treated to look like Aluminum. It has a slightly bulbous profile, with a deep swell toward the center. 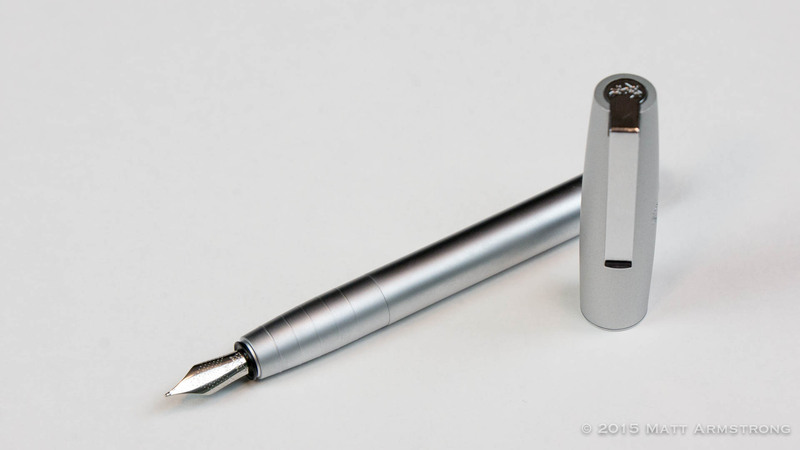 The clip, which feels hinged (see the video for what I mean by this) is chromed metal, and quite chunky, with a modern-looking shape. 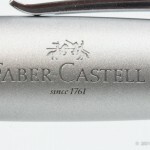 The top of the clip is inset into the top of the cap, and was cast with the Faber-Castell jousting knights logo. The rest of the barrel is made of metal (likely aluminum) and is completely cylindrical. 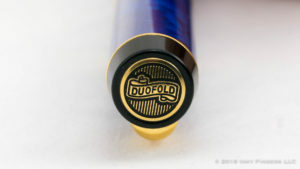 The end of the barrel features an unusual, concave finial. 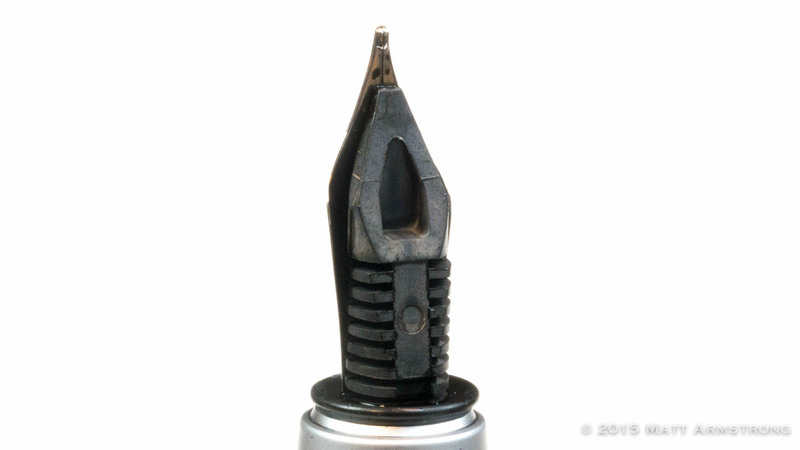 Removing the snap-on cap reveals a silverized, plastic section that tapers toward the nib. 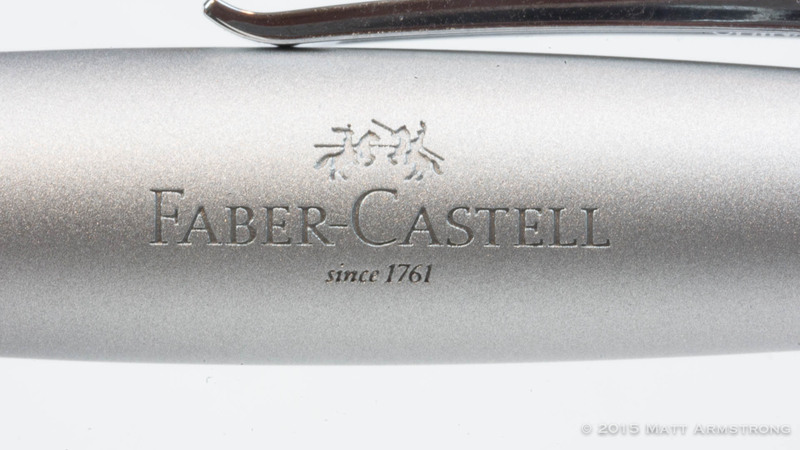 This appears to be fairly unusual for Faber-Castell pens, which often feature perfectly cylindrical sections. The section on the Loom features five slightly raised rings set at regular intervals which both provide a bit of textural interest on what would otherwise be a sparse design, and help the smooth plastic section from getting too slippery. It’s also of note how perfectly and smoothly the threads of the metal barrel mesh with the threads of the plastic section. 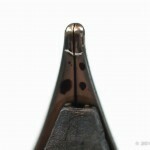 The precision manufacturing which Germany is known for is very much in evidence on this pen. 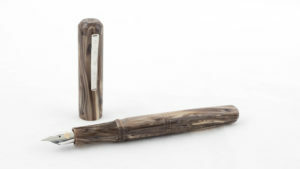 The pen posts nicely, with the light cap slipping onto the barrel deeply and securely without throwing off the pen’s balance. 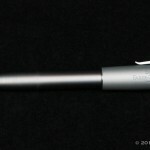 I actually prefer to use this pen posted—an usual choice for me—and find it a touch more comfortable with the extra length provided by the posted cap. 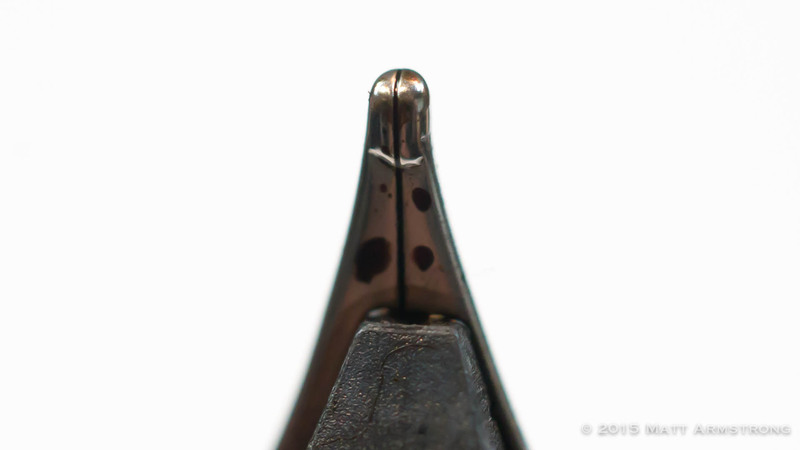 The pen can be used without posting, but I find it on the short side. 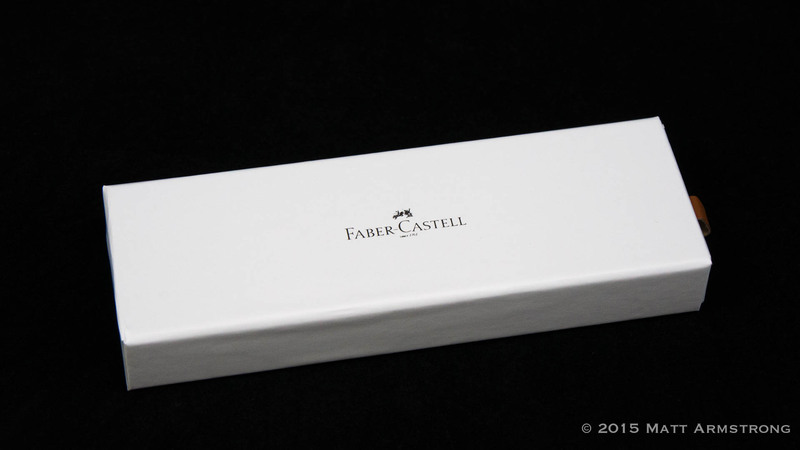 The Faber-Castell Loom takes standard international converters and both long and short standard international cartridges. 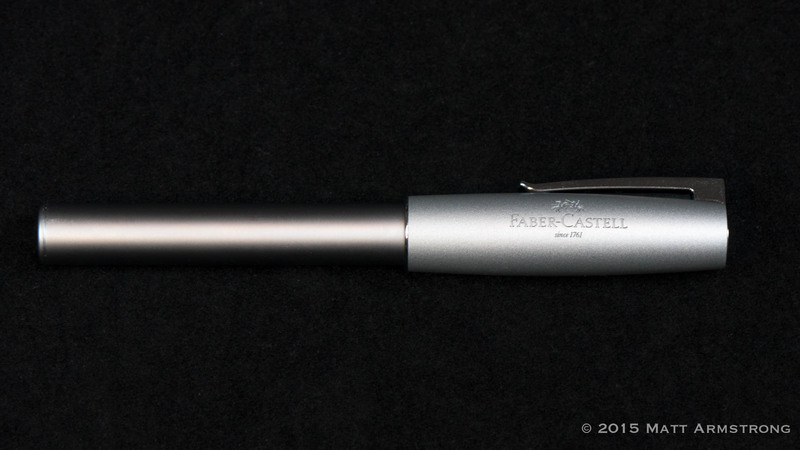 Unfortunately, as is common for the lower-end Faber-Castell pens, it does not come with a converter, which I find to be greatly unfortunate for any cartridge converter pen. Just throw in the $0.30 worth of plastic and stop trying to nickel and dime us. (I’m talking to you too, Lamy!) So, you’ll need to make sure to purchase a converter if you aren’t drowning in extra standard international converters like I am. Writing with the Loom is a joy. 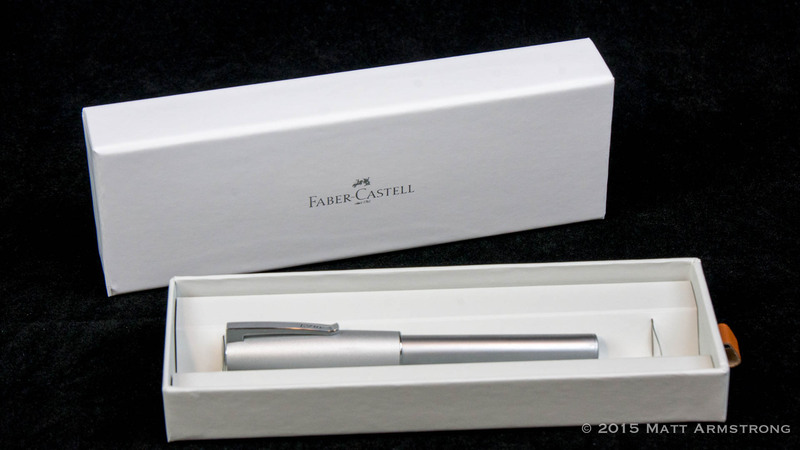 It’s comfortable in the hand, and its textured, contoured grip fixed the only real problem I had with the Faber-Castell Ambition or Basic pens. 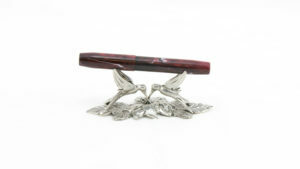 The pen has some heft, but it is not so heavy as to be tiring. 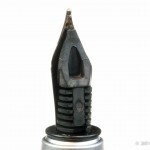 Ink starvation through this pen’s plastic feed has been completely non-existent. I have never had to prime the feed with cartridge or converter. It just writes. Every time. Without any problems. 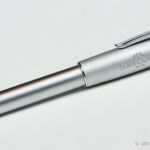 Much like the other most-recommended entry-level pens, the Loom is a consistent writer. It’s well-built, and very solid. But the nib on the Loom is so enjoyable, that the Loom gives me the “zazz” I am missing in the Safari or the Metropolitan. I could not be more impressed with Faber-Castell’s Loom. 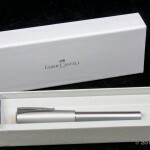 It is a superbly-manufactured pen that looks nice, writes wonderfully, and feels good in the hand. At $40, this pen feels and writes as well as many more than three times its price. 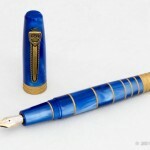 These days, when someone asks me what type of pen I recommend for a new fountain pen user, I tell them about the Loom. 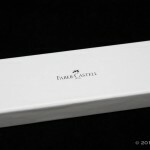 Yeah, it’s more expensive than a Lamy Safari. 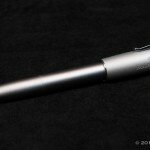 But for less than $50, this pen is a rockstar in my book.